Even if we’re already seven months into 2019, ransomware continues to be an issue for many of us device owners around the world. Computer security experts everywhere are hard at work to find the best anti-ransomware software for the protection of our gadgets. It’s not an easy task, especially not when there are lots of hackers thinking of new ways to affect the safety of users’ PC, smartphones, tablets, and so on. Among these new ways are those we all know, appreciate, and use daily: security solutions. The people behind them employ experts to think of all sorts of features that can keep malicious software as far away as possible. Without these security tools, we’d have to pay large amounts of money to retrieve our personal data and other sensitive information. Today we’ll take an in-depth look at what ransomware is all about and how we can easily protect our beloved devices against it. You’ve heard it all before: ransomware is bad and you need to do whatever it takes to protect your computer from it. No idea what ransomware even means? We’ll tell you here. Its more popular synonym is malware. Which is basically another way of saying a “dangerous software” which lands on a gadget when its owner does something harmful like, for instance, clicking on a suspicious link from an email received from someone posing as a legit institution (a bank, online shop, and so on). After the malware makes itself comfortable inside your device, the person behind it will ask you to pay a certain amount of money to retrieve it. If you don’t pay said ransom, you won’t get access to your personal data. The device you use will be on lock down until you send the hacker the money they initially asked for. Problem is, even if the ransom is payed, you can still have problems using your PC, because cyber criminals just love to play with us. You have to be somewhat lucky to meet a benevolent hacker who will send you a decryption key so that you can regain access to your computer. Get ready to pay a three-four digit sum if you run into this sort of person and you absolutely need your data back safe and sound. Ransomware is a complex working mechanism. It usually functions in a couple of different ways. You can receive the following message from someone who says they work in law enforcement: “we have to shut your PC down because it contains pirated software.” Don’t give in and don’t pay the ransom they ask for. Scenario number two: you receive something that turns out to be phishing spam. The latter hides itself as email attachments or website links sent to you by people you think are friends, relatives, and the like. Naturally, you want to open and click on them to see what they contain. If you do that, your device will immediately get infected with ransomware. Here’s an in-depth look at how things go in this particular situation if your device is not protected with a top rated anti-ransomware software. That link you decide to click will open a browser window and direct you to a site which looks pretty much harmless. In fact, this website is a landing page used for an exploit kit that is hosted in a .co.cc top level domain. After the page’s been loaded on your PC, the web server which hosts said exploit kit will start to communicate with the user’s device and send various requests concerning software versions. Why? So as to locate an exposed version that the kit contains an exploit for. As soon as the defenseless version gets the green light, the kit we mentioned will try to make the most of the unsafe spot it just found. After that happens, the exploit kit will send a dangerous .exe file that will be executed by the virulent binary on the user’s gadget. Child processes will start to appear in a very short while. Shadow copies are included in these processes and they will erase current shadows on the device. Once that’s over with, the kit will make some new ones that it will use for concealing. This is done so that files can’t be recovered by the user. In order to multiply copies of itself in the device’s file system, the binary makes use of the following: a PowerShell executable. The latter will try to find files with certain extensions in the file system. They will then be encrypted and the powershell.exe process will make three duplicates of the first malicious binary. The first place it does this in is the device’s AppData directory. Second destination: its Start directory. Third place: the root C: directory. The replicas will start the malware again when you decide to login or reboot your computer. They will do so alongside the registry changes. Once the files are encrypted on the unprotected computer, the malicious software will deliver the needed encryption key. Not only that, though: information connected to the host will also get sent to the server used for command and control. This server is going to transfer a certain message to the device owner, telling them to pay a ransom. But it can also be about instructions on downloading another malware used for stealing different credentials by the hacker. Another way to land malicious software on your computer is to have security holes and not even know it. This is why you must remember the following advice: always install a top-rated anti-ransomware software solution on your gadget. Because if you don’t, the malware will quickly find the vulnerable spots on your unprotected computer and use them to its advantage by infecting your device. Ransomware has been infecting computers for two decades already. The only difference is that it didn’t make as many victims back then as it’s done for the last five years. The reason for that can be traced back to the introduction and success of the now popular Bitcoin. This payment method is untraceable, hence the surge in ransomware attacks. Locky – this one was first recorded two years ago. If you remember Dridex, Locky’s attack mode was very similar to that banking software. CryptoLocker – launched five years ago, this cyber threat infected a whooping 500,000 devices. CryptoLocker helped launch the modern ransomware as we know it today. NotPetya – compared to other ransomware, this one made good use of EternalBlue. The latter was an exploit created by the NSA. Hackers eventually found it and stole it from them. The NotPetya is believed to have belonged to a cyber attack directed by Russia against the Ukraine. TeslaCrypt – created to target a device’s gaming files. It was improved on a regular basis to produce at much damage as possible. WannaCry – it advanced individually from PC to PC. It did that via the same EternalBlue used by the NotPetya cyber attack. BadRabbit – one of the more recent examples in our list of dangerous software. This particular one infected gadgets at the end of last year. It targeted media companies throughout Asia and Europe. SimpleLocker – its aim was doing great damage to mobile devices. This ransomware was the first of its kind and made way for many others. With so many examples of cyber threats, temptation is strong to go into a panic and worry non-stop about the safety of your sensitive data. No need for that, though: all hope is not lost. Security giants are constantly working on new solutions to protect devices around the globe against cyber attacks. Before we get to our list of the best ransomware protection available right now, there are certain measures all gadget owners can take starting right now. For one, install and use that protection we mentioned before and which we’ll flesh out a bit later in our post. Second: make a point of never giving dubious software administrative privilege or even installing it in the first place. Inform yourself on what said program is and what it actually does before taking any sort of action. Moving on, make sure to keep all your important files backed up and protected. Do it on a regular basis. Read up on ransomware attacks and see what you can do to avoid them. Next, remember to update your computer’s operating system as soon as you’re asked to do so. Postponing this will leave you vulnerable in the face of threats. Last but not least, learn all there is to know about scams and trust your gut. Don’t open a suspicious email attachment, don’t click on ads if you’re visiting a website, close a page if it doesn’t feature HTTPS, and so on. Now on to the best security software solutions of 2019 you can use for protection in the battle against ransomware! The Romanian manufacturer has already proven its worth when it comes to the security suites it released in the past. They continue to offer top-notch protection against all sorts of threats. The most recent antivirus they came up with is called Bitdefender Antivirus 2019. As with previous versions, this one is equipped with many useful features. Number one among them is an antiransomware option. Once the security solution is installed on your computer, the product is going to ask the user whether they wish to keep sensitive files safe from ransomware. After you click yes, the antivirus will store a duplicate of your PC’s important data stored in a private place. If an infection should occur, your data will remain safe. 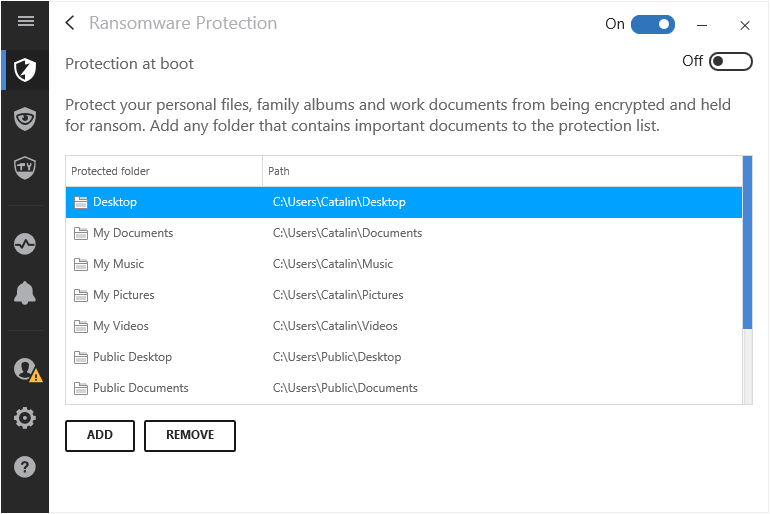 Also, in case potentially dangerous applications try to change the protected documents, they will be immediately blocked by the in-built ransomware scanner. If you go to Bitdefender’s official page, you’ll see a free security tool useful for malware removal called Anti-Ransomware. 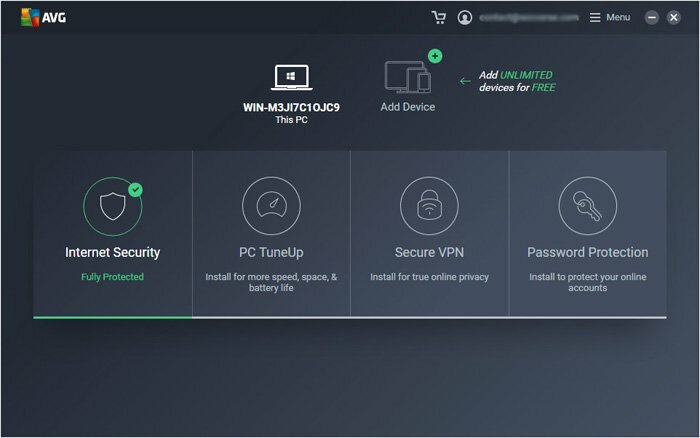 It’s a great addition to your PC if you’re not already using the Bitdefender Antivirus 2019. Kaspersky are a force to be reckoned with when talking about security solutions. Especially now that ransomware has become such a constant in our lives. 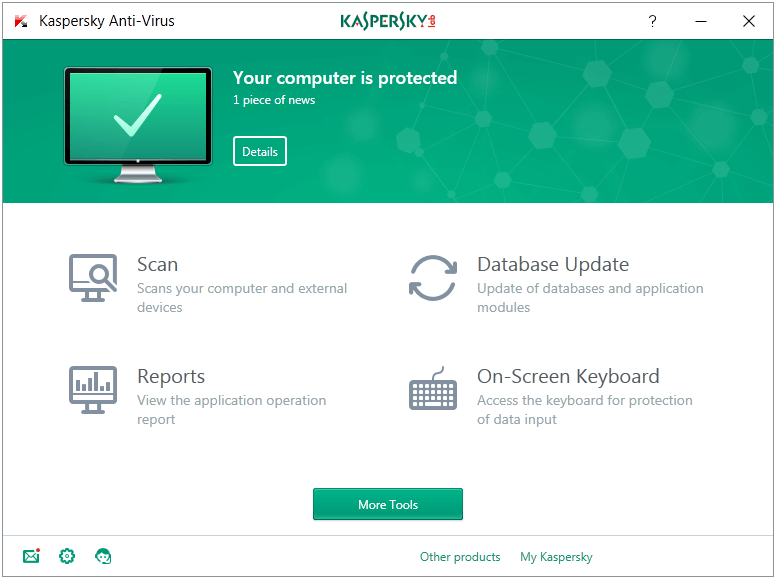 The company issued a new product known as Kaspersky Antivirus 2019 and it’s much improved over previous versions. Among its many great features, this latest option has a very strong anti-ransomware tool. Its presence inside the security suite will offer much-needed protection from the many known malware of the ransomware variety. The tool offers the possibility to encrypt and backup every single one of your most important data and keep it safe should a cyber attack happen. Then, once the threat disappears, you will be able to use your files (music, photos, work files etc.) once more with no harm done to them. Hackers won’t be able to read any of your sensitive data! AVG is one of the most reliable manufacturers of security solutions. Their Internet Security 2019 version has plenty to offer and every feature on it is meant to provide the best protection from many types of threats. Ransomware has already affected millions of computers around the globe and will continue to do so. If you use a computer with efficient anti-ransomware tools, however, your files and documents will be protected from danger. The anti-ransomware feature delivered by the AVG Internet Security 2019 does its job very well. With it enabled, your computer’s every important data will be walled off from all attempts at stealing it. The second a potential threat is located, the feature will block it and your protected data won’t be deleted or changed. 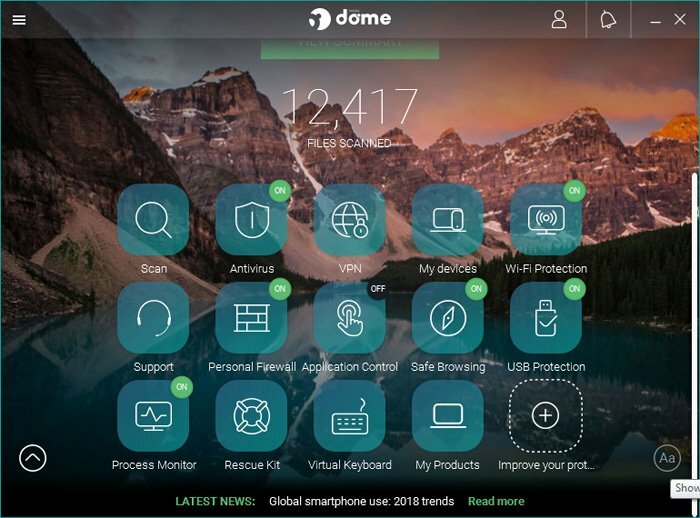 Panda Dome Advanced 2019 comes after the manufacturer’s Panda Global Protection version and it offers new tools and features. Your PC will be safe from most issues once the product is downloaded and installed on it. Since ransomware is still hanging over our computers’ heads, the 2019 version is ready to handle it. Data can be stored and backed up if an attack should take place. In case you want to delete files because you think they’ve been infected, you can do it at any time. There’s a catch here: you won’t be able to recover them.